Supplementary material reads: "Photo assignment for Wednesday April 23 at 2 p.m. Important. Pls. 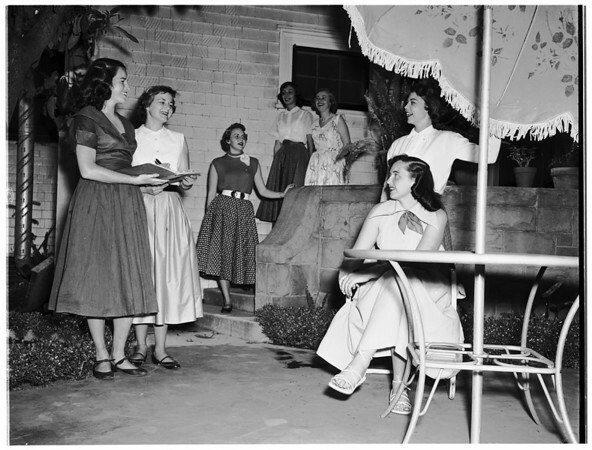 go to Chi Omega House, 742 West 28th street, PR 70937, see Mildred Farrell, get shots of gals preparing for a party at Bev. Hills Hotel. Candid, three and five cols. Make a special effort to get something unusual. Contacts Thursday. Thanks, Carter Ludlow".